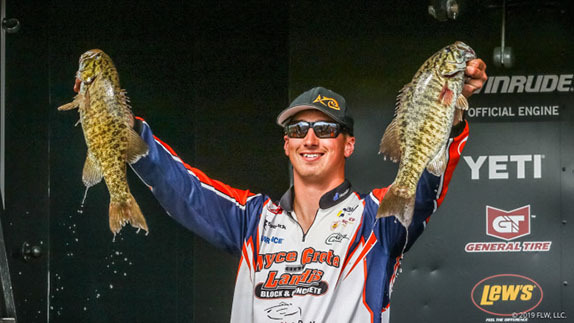 Bass anglers universally love to catch fish on a buzzbait or Whopper Plopper, and while they have their time and place, Scott Suggs said that day in, day out, a properly presented wakebait will outfish them both. �It�s way more versatile,� he explained. It�s a technique that many fishermen have tried, but few have stuck with it long enough to understand how �idiot proof� it truly is. He starts with one during the pre-spawn, targeting docks on the entrances to spawning bays and bluff ends. At this time of year he�s careful not to overwork the lure, just providing it with a slow wobble. �I don�t burn it,� he explained. As the bass move to the beds, he considers it the ultimate search bait. Spawners might not get it every time, but it will alert him to their location and allow more precise presentations. The post-spawn is when it really shines. Bass will take the same route out of the bays as they took on the way in, utilizing points and the docks closest to the main lake to recuperate. Once they�re rested, they�re �ready to eat� and start bunching back up. That�s when the bite can be at its best. It�s also a fantastic tool on lakes where blueback herring are the primary forage, and his best results on those waters has come in the fall. He keeps his tackle simple, preferring medium-heavy baitcasting gear for the vast majority of presentations. Specifically, he likes a 7-foot Abu-Garcia Veritas rod paired with a 6.4:1 Revo Premier reel. 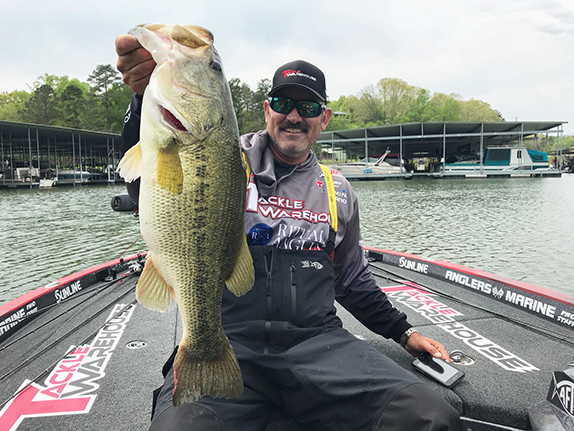 He spools it with 12- to 20-pound Berkley Trilene Armor Coated Monofilament, varying the line size depending on the size of the fish he�s targeting, the available cover and how he wants the bait to run. 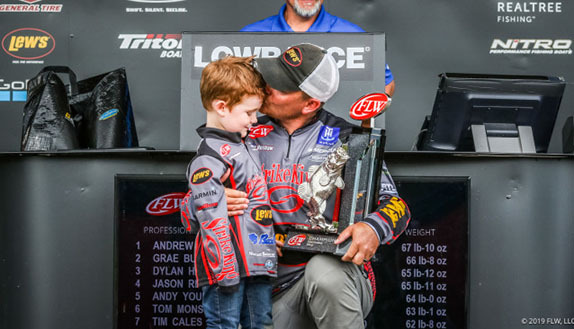 The only exception to this rule occurs when he wants to make extra-long casts and cover more water, typically in smallmouth country. Then he�ll switch to a 6 1/2-foot medium-heavy spinning rod with light braided line, which allows for solid hook sets at a distance. 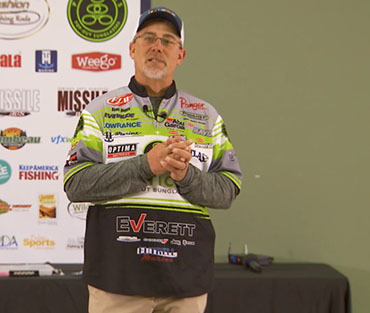 If you want to learn some of Suggs' additional tips for maximizing your wakebait effectiveness, including how he varies his colors for smallmouths and when he uses an all-black lure, check out his full video, available only by subscribing to The Bass University TV.